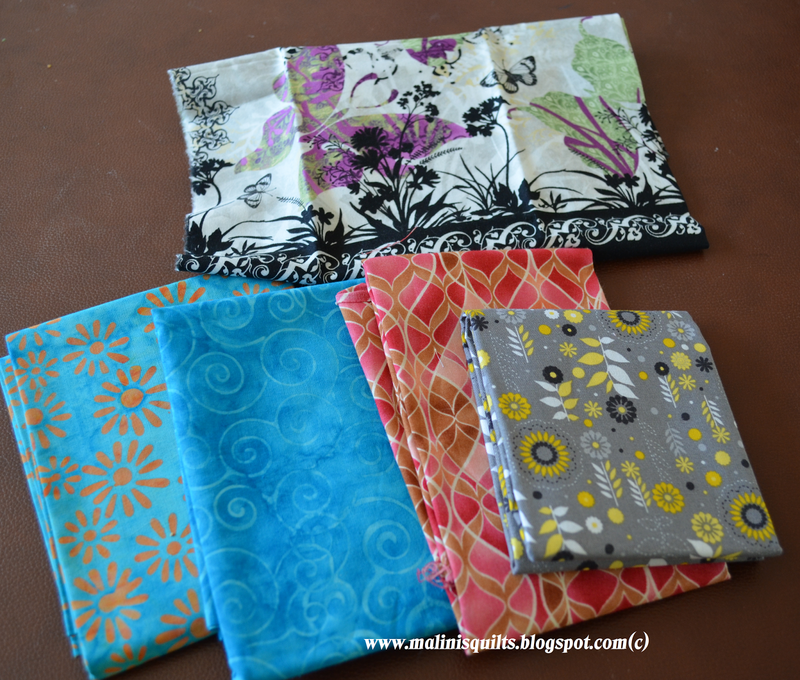 Last week I received the traveling Stash passed on by Brittany@ Pickles quilting and it was fun open and find some goodies I liked. NOTE:- Due to high shipping cost this giveaway is only for people in the U.S.
Good luck with the giveaway. I will choose a winner next week. What a neat idea! Have never heard of this before.